Hello, friends. My apologies for not being able to showcase the backlog of so many great ’67 Beetle stories from around the world in a more timely manner. Growing a business is a lot of work! 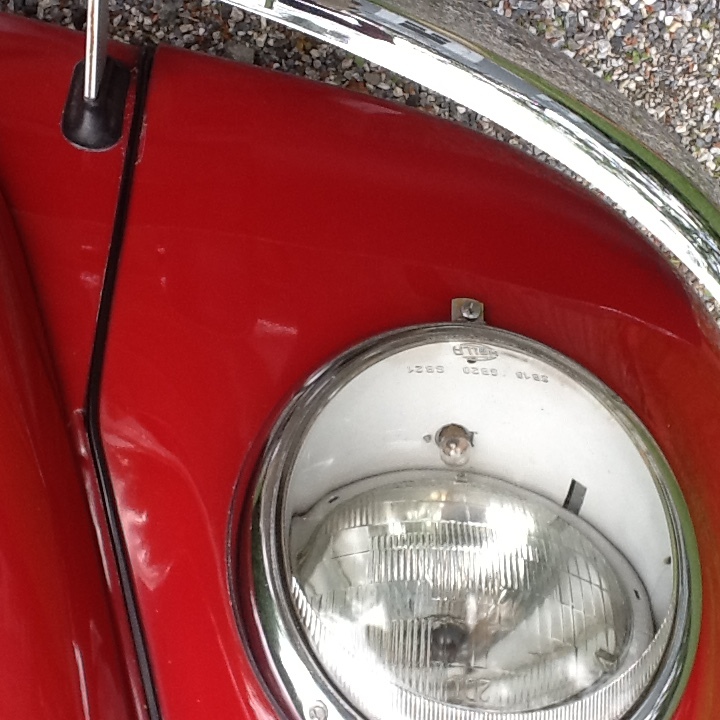 Let’s shine some light on Todd’s Standard Beetle, which is a follow up from Jay’s earlier mention of David Brown’s “standard standard.” Speaking of Jay, lets all give him a round of applause for keeping the lights on here at 1967beetle.com, so to speak. Thanks, Jay! 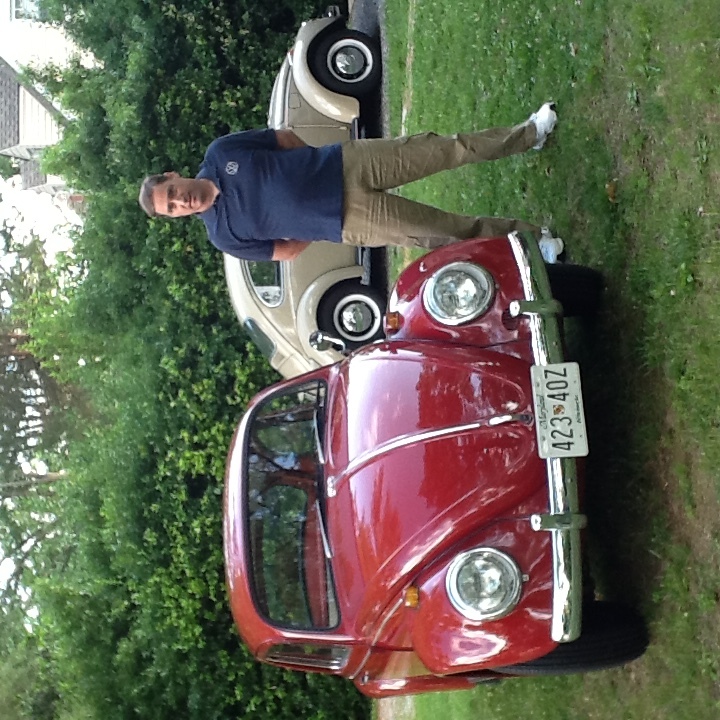 We appreciate and admire your knowledge and never ending love for the ’67 Beetle community. I had painted a friends bug some years back, he gave me this strange 67′ as payment. I went to look at it, I noticed oddities about it that were not standard issue on a regular 67. I couldn’t quite put my finger on it, but she was definitely not as nice as the 67 we had when I was a teen. The first thing I noticed was the floor covering, any beetle enthusiast knows of the rubbery type bumpy covering attached to the back seat and in the luggage area. 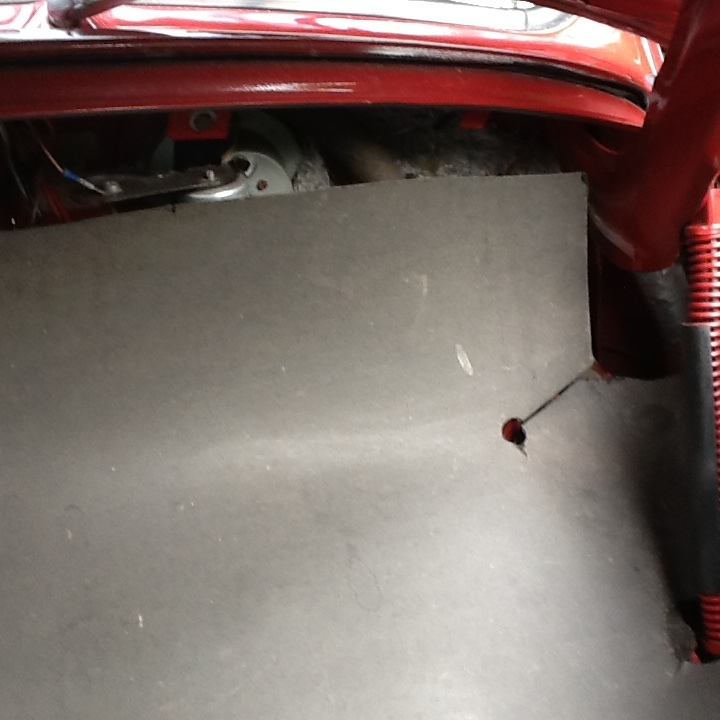 This material was covering the heater channels, and the kick panels, also covering the chassis hump. Definitely no square weave here! 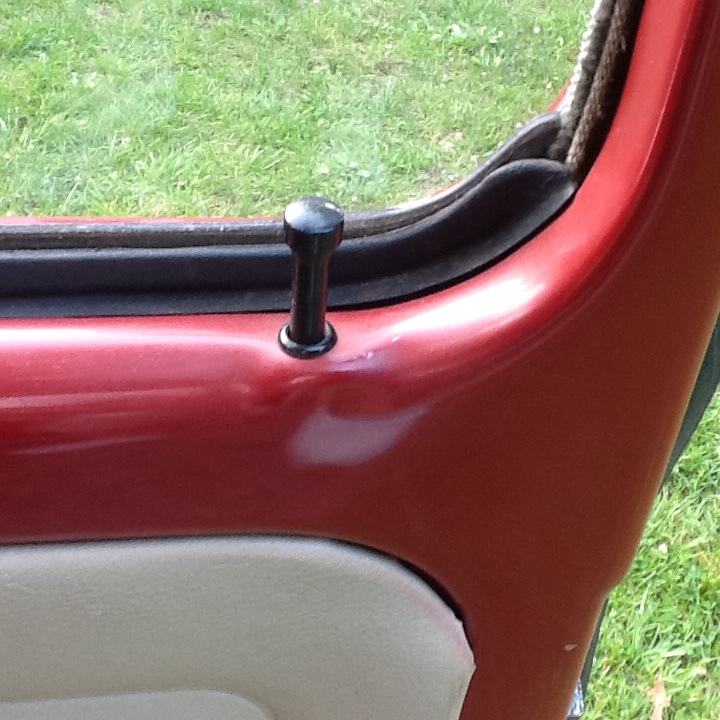 Littler strange things I noticed… One horn grill…A fuel reserve lever like my 56′ has..only one sunshade, and a cool little white plug where the hole is. No Wolfsburg crest on the horn button, just a black disc is fitted. No chrome strip on the glovebox, no ring around the speedo. 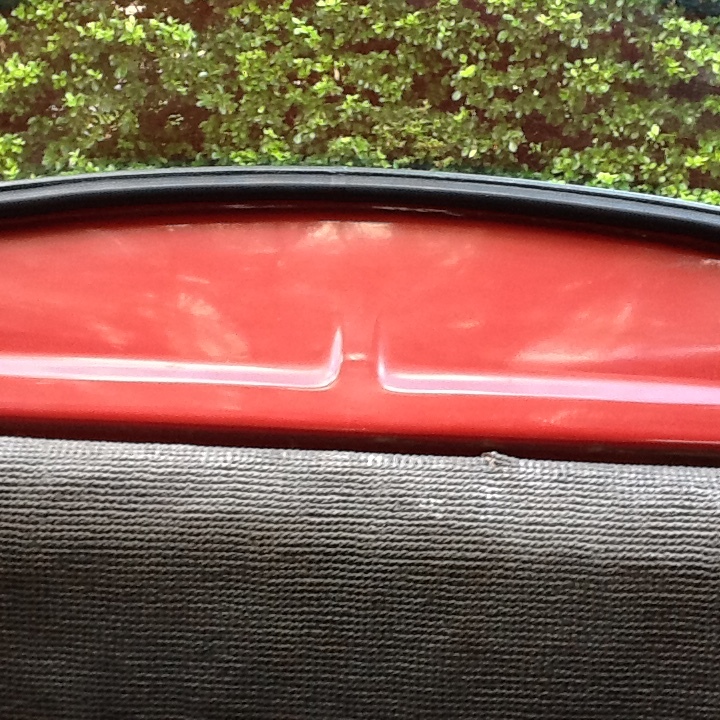 Only a partial headliner is fitted, not covering the pillar posts or underneath the side windows, just a gray length of plastic covering the seam on the pillar. It just looked so cool with more original paint showing than usual. I had to research this strange bug. She was a “Sparkafer”, or Standard beetle. No frills with this car! Somewhere I had read that there was a recession in Germany in 67, and Mr. Heinz Nordhoff just had these Standard, cheaper bugs built just to get a product out of the doors, and money for the company!! 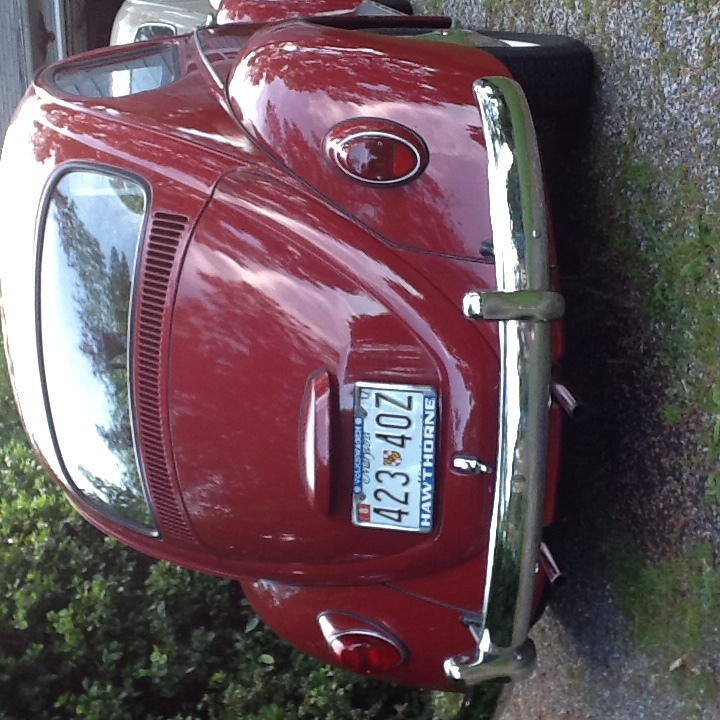 She needed a complete resto, I did everything myself in my little one car garage…floors, heater channels, bodywork, built the 40 horse engine..and I painted it the original Ruby Red. The chassis is regular beetle, ball joint front end, hydraulic brakes, swing axle trans. 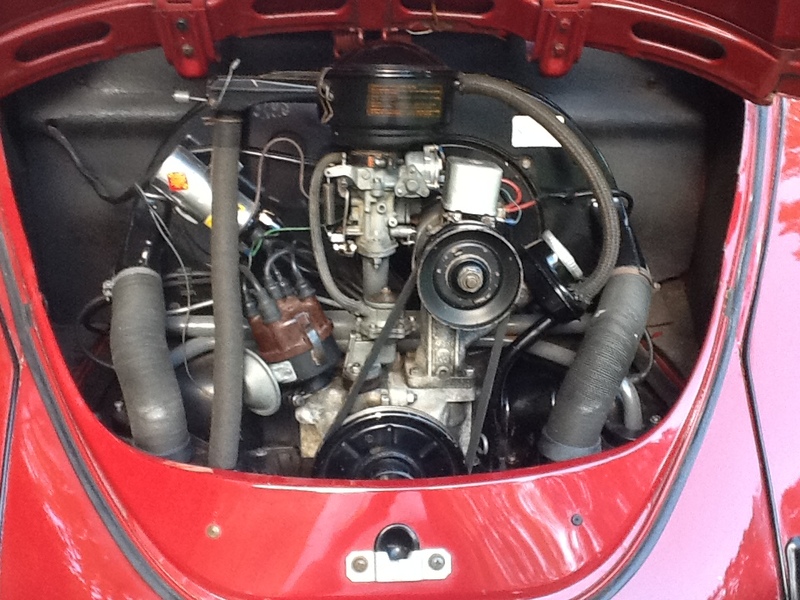 The engine is not a 1500, but the smaller 1200 40 horse, D engine case. The electricals are 6 volt, with the old school glass covered headlights. Interior wise, white basket weave, no levers on the seat frames, you just push the seatback forward. 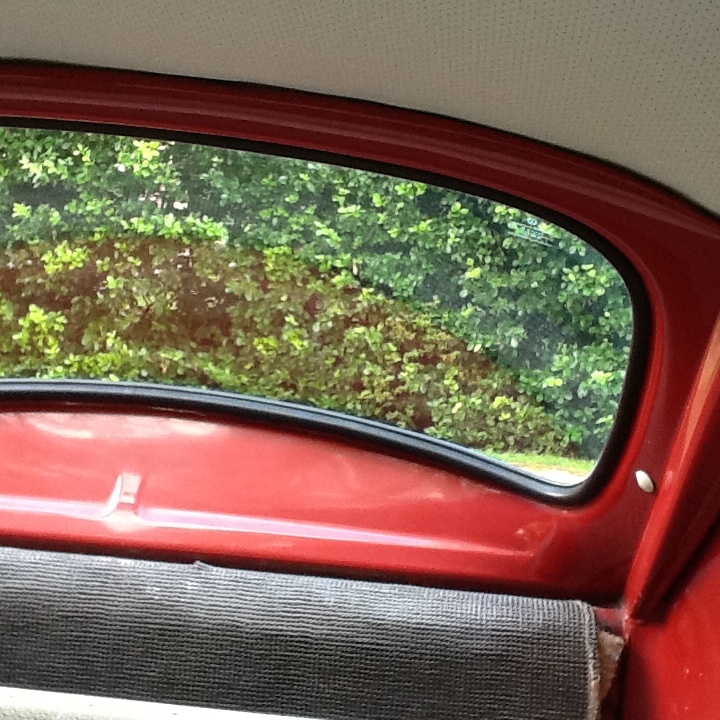 To me it looks like the front seats back rests are a bit more curved than a regular beetle. 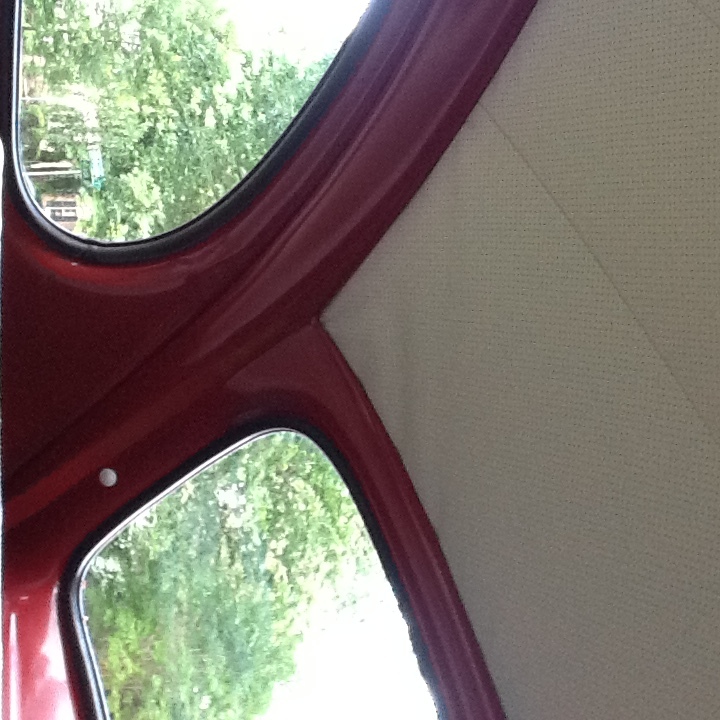 As I said only the middle portion of the headliner is fitted, the rear view mirror is oval shaped as a regular bug, but the back of it is black not chrome much like 68 and later bugs. Only wipers , ignition, and headlight switches fitted, no self park on wipers..manual! I know they made other year standard models, but we love 67’s!! 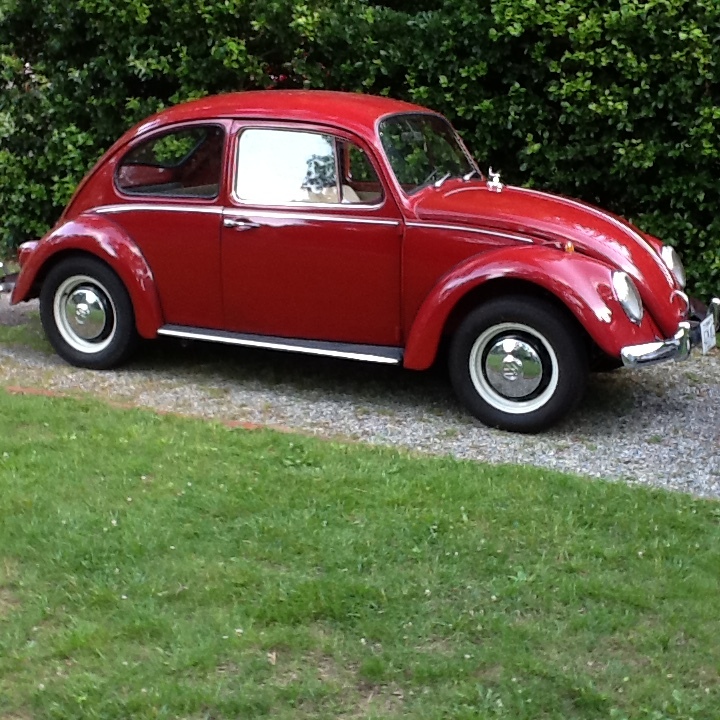 Next: Next post: Powder Coating — Is It Right For My 1967 Beetle? Definite Bug to look out for here in the States! I normally don’t post on this site (having sold my 67 VW) but I still subscribe and I have to say, if I see one of these in my travels, I will be sure to pick it up. I think this model is a sleeper! Thanks for continuing to be a reader. I had forgot you sold your ’67. You bet Eric! Jay and I have been staying in touch. Just received my smog inspection notice for my daily driver, I might not pass this time, bet you don’t miss living in California! Thanks Jay for your nice compliments! 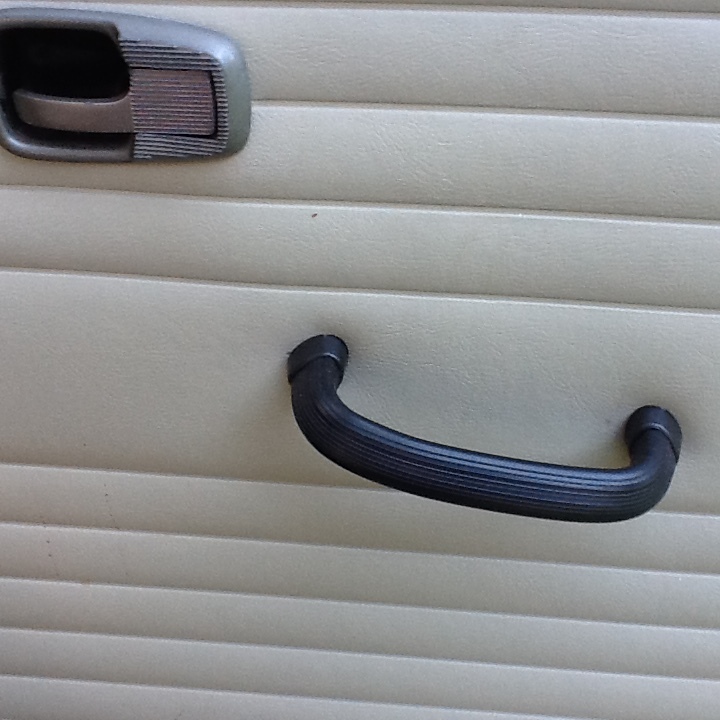 I enjoyed restoring it– She fought me a bit, but I did get it the way the factory intended! My friends dad said his buddy brought it over from Germany, the last time it drove was back in the 80’s, I drive it everyday now, 6 volts and all! I’m glad I can share it with everyone, they definitely are strange!! Love to see more of them! Hi Todd, you sure have a special 67 standard for sure. Years ago I saw one which was in England and it had a cloth sun roof in it. Thanks for sharing you car and story. Thanks Richard, I would have loved to seen the one you saw!! I enjoy driving it!! She feels like she’s new!! Nice job on the resto. 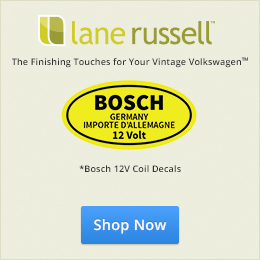 Have you checked your cars history? It could be a Canadian standard. Your ignition is on the dash. 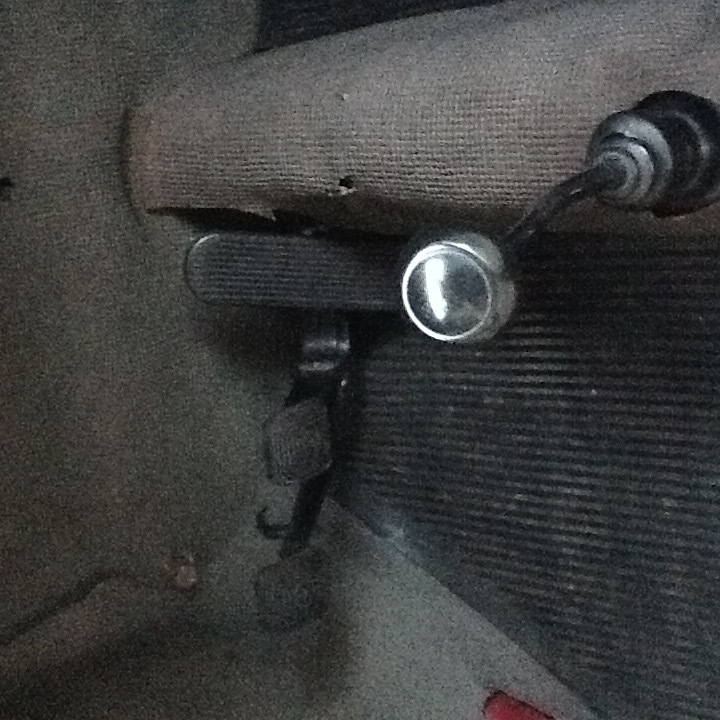 European standards had ignitions on the steering column. 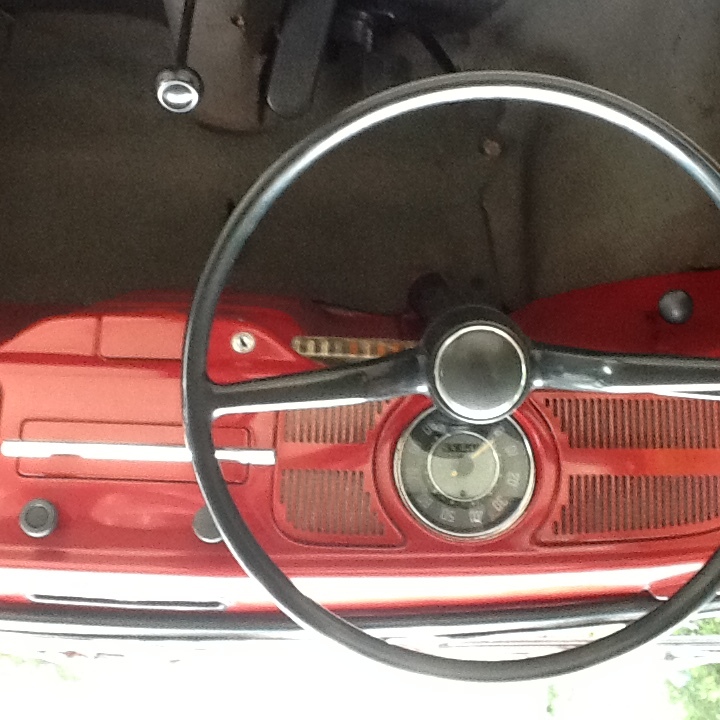 I have a 67 European 1300 standard (unrestored). 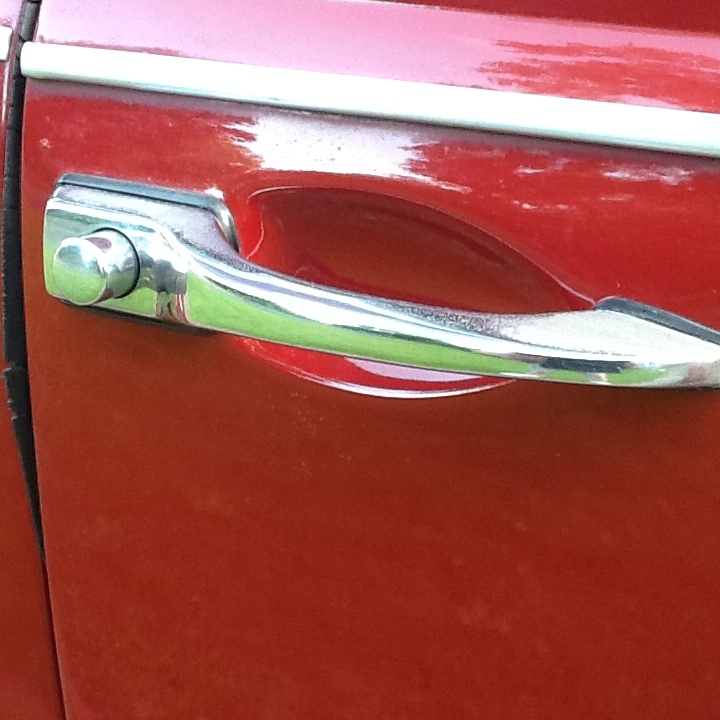 It too is 6 v, blank passenger door handle, VW1300 emblem on decklid, glass covered headlights. But 2 horn grills, overriders on the bumpers (no back up lights), chrome on the body but not the windows, full headliner, 3 point seatbelts (option on euro bugs). Chrome horn ring, and nieman ignition on column. Vw would use up parts from previous years and make changes during a model year. Makes it fun to figure out what you got. Good Day everyone,I’m new to this forum and new the the 1967 beetle. 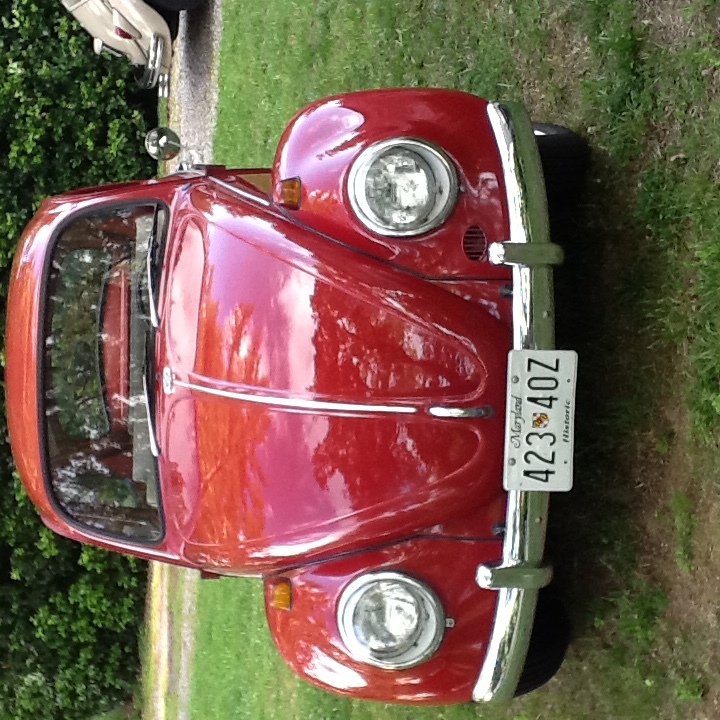 I just acquired my first 67, I have had many VW’s but all pre 63. 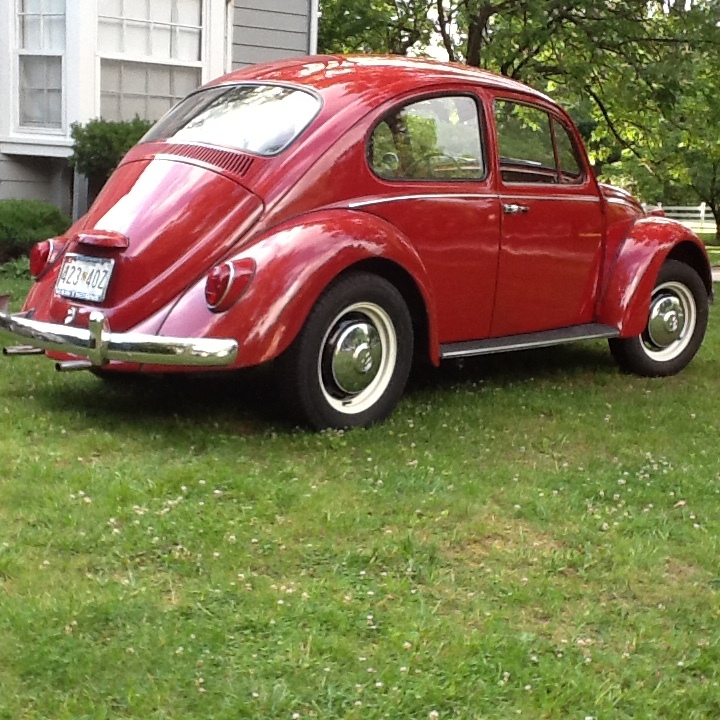 I have a few questions about this beautiful ruby red 67, were the front fenders correct since its a rarity and were there any 67’s that came that way? I would like to switch my fender over to that style but only if its period correct. Hi Jay, Thank you for the clarification.